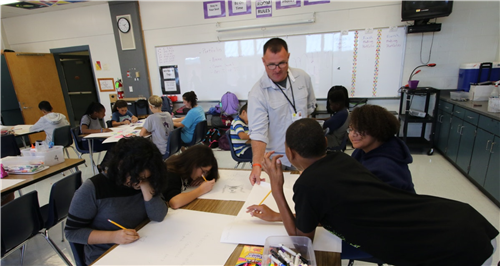 The ceiling tiles in the art room began doubling as canvases when teacher Mike White arrived. 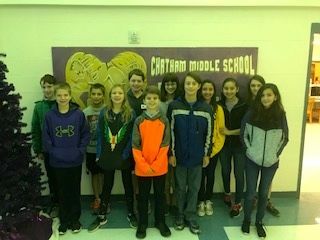 CONGRATS TO OUR CMS BAND FOR EARNING SUPERIOR RATING! 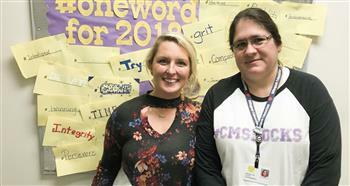 Kate Stackhouse and Carolina Vix led a webinar on the dual-language model on Feb. 13, 2018. Congratulations to our Science Fair Winners!!! The Projects were phenomenal and we want to congratulate you on a job well done!! Go RAMS!! 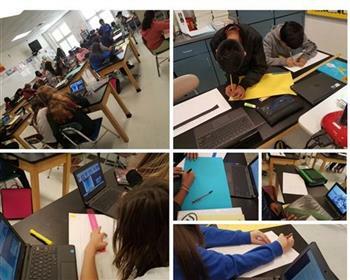 Mr. Anzola's Science class learning about atmosphere, its layers, components of each layer, and a few tips to keep our planet safe. GO RAMS!! 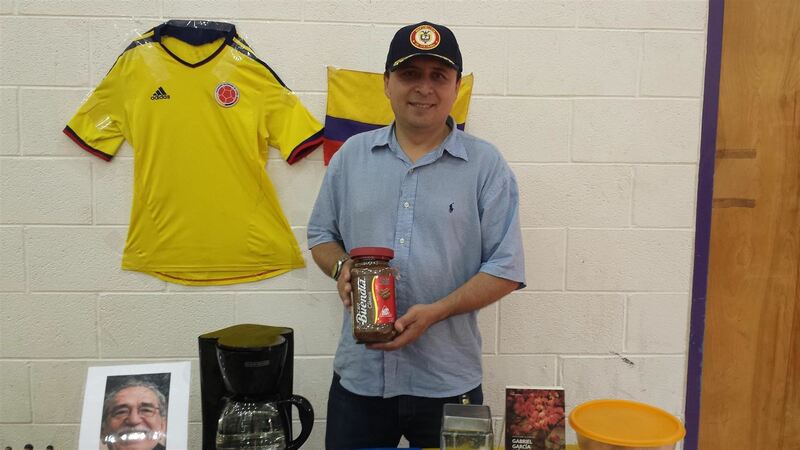 2017 CMS INTERNATIONAL FAIR IS A SUCCESS! 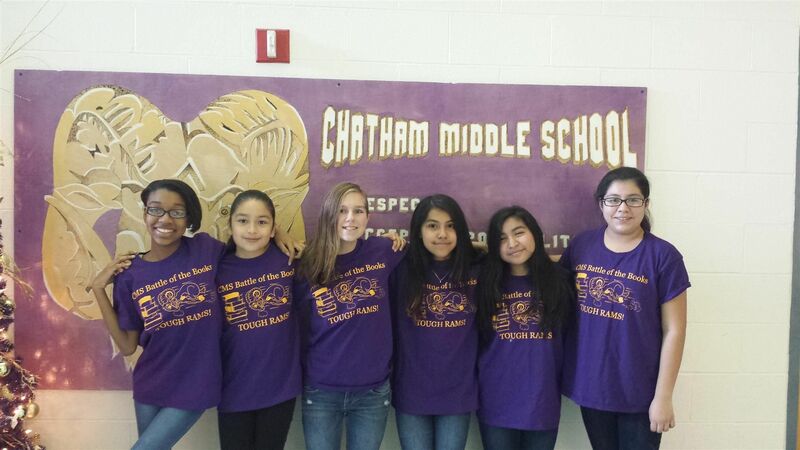 CMS BATTLE OF THE BOOKS! INTRODUCING OUR 2016-17 BATTLE OF THE BOOKS TEAM! CMS Cooking Club is a hit!! CMS Cooking Club is a hit!!! 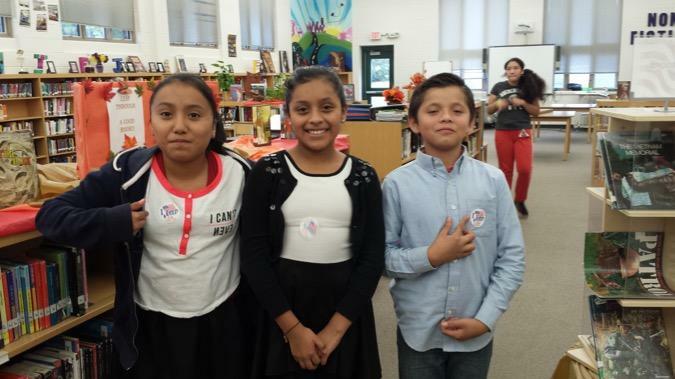 Mrs.Pyrtle's class showed true democratic spirit in a school wide election! 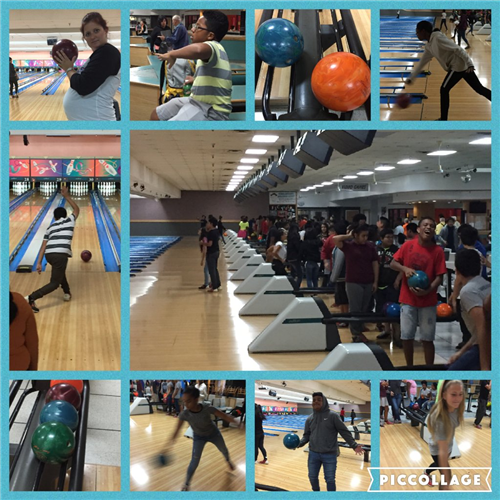 THE 8TH GRADE ENJOYED A PBIS TRIP TO THE BOWLING ALLEY IN ASHEBORO. WHAT A WAY TO CELEBRATE THESE STUDENTS!